Otis & Claude Ballistic Buddy Bone Dog Toy is a simple, yet elegant toy for your dog. 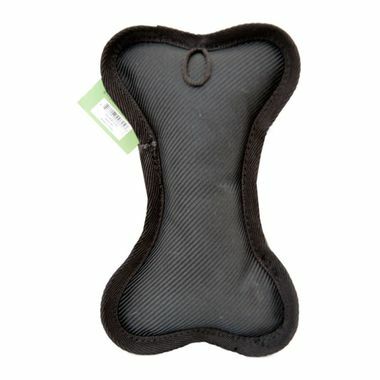 The Ballistic Buddy Bone Dog Toy has a squeaker in a classic bone shape that your dog will love. The toy is made with heavy duty nylon exteriors for high-durability and is sewn together for extra strength. The edging is reinforced and a PVC packing ensures your dog won't destroy this toy easily. 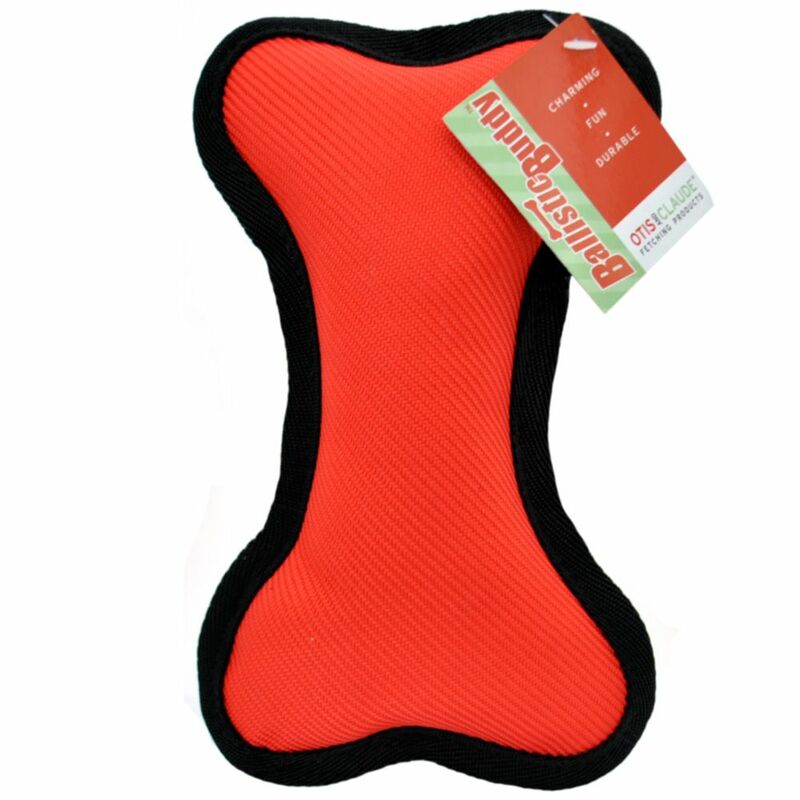 The toy is lined with 100% polyester and comes in a bright red color with beautiful black fabric on the back. Over 100 years ago, in a very small town, Otis and Claude were building clever toys by hand. They used the best materials, and worked at their designs until they were extraordinary. Their handiwork lives on with Otis and Claude Fetching pet toys. The Ballistic Buddy line of toys utilize a strong fabric and simple designs to make a squeak toy that will last long. Remove if worn or damaged.